The Emperor of Japan is the head of the Imperial Family and the head of state of Japan. Under the 1947 constitution, he is defined as "the symbol of the State and of the unity of the people." Historically, he was also the highest authority of the Shinto religion. In Japanese, the Emperor is called Tennō (天皇), literally "heavenly sovereign". In English, the use of the term Mikado for the Emperor was once common, but is now considered obsolete. In the history of Japan, Suiko was the first of eight women to take on the role of empress regnant. The seven women sovereigns reigning after Suiko were Kōgyoku/Saimei, Jitō, Genmei, Genshō, Kōken/Shōtoku, Meishō and Go-Sakuramachi. The first human habitation in the Japanese archipelago has been traced to prehistoric times. The Jōmon period, named after its "cord-marked" pottery, was followed by the Yayoi in the first millennium BC when new technologies were introduced from continental Asia. During this period, the first known written reference to Japan was recorded in the Chinese Book of Han in the first century AD. Between the fourth century and the ninth century, Japan's many kingdoms and tribes gradually came to be unified under a centralized government, nominally controlled by the Emperor. This imperial dynasty continues to reign over Japan. In 794, a new imperial capital was established at Heian-kyō, marking the beginning of the Heian period, which lasted until 1185. The Heian period is considered a golden age of classical Japanese culture. Japanese religious life from this time and onwards was a mix of native Shinto practices and Buddhism. Empress Kōgyoku, also known as Empress Saimei, was the 35th and 37th monarch of Japan, according to the traditional order of succession. Empress Jitō was the 41st monarch of Japan, according to the traditional order of succession. Empress Suiko had several names including Princess Nukatabe and (possibly posthumous) Toyomike Kashikiya. She was the third daughter of Emperor Kinmei. Her mother was Soga no Iname's daughter, Soga no Kitashihime. Suiko was the younger sister of Emperor Yōmei. They had the same mother. Emperor Kinmei was the 29th Emperor of Japan, according to the traditional order of succession. Soga no Iname was a leader of the Soga clan and a statesman during the reign of Emperor Kinmei in the Asuka period. He was the first person to hold the position of Ōomi that can be verified with reasonable accuracy, in 536 AD. He was the son of Soga no Koma and the father of Soga no Umako. Soga no Kitashihime was a Japanese noblewoman and high lady, a daughter of Soga no Iname, a high-ranking official. She was a consort of Emperor Kinmei of Japan. Among her offspring were Emperor Yōmei, Empress Suiko and Princess Ōtomo. Empress Suiko was a consort to her half-brother, Emperor Bidatsu, but after Bidatsu's first wife died she became his official consort and was given the title Ōkisaki (official consort of the emperor). She bore seven children. Emperor Bidatsu was the 30th Emperor of Japan, according to the traditional order of succession. After Bidatsu's death, Suiko's brother, Emperor Yōmei, came to power for about two years before dying of illness. Upon Yōmei's death, another power struggle arose between the Soga clan and the Mononobe clan, with the Sogas supporting Prince Hatsusebe and the Mononobes supporting Prince Anahobe. The Sogas prevailed once again and Prince Hatsusebe acceded to the throne as Emperor Sushun in 587. However, Sushun began to resent the power of Soga no Umako, the head of the Soga clan, and Umako, perhaps out of fear that Sushun might strike first, had him assassinated by Yamatoaya no Ataikoma(東漢直駒) in 592. When asked to accede to the throne to fill the power vacuum that subsequently developed, Suiko became the first of what would be several examples in Japanese history where a woman was chosen to accede to the throne to avert a power struggle. Emperor Yōmei was the 31st Emperor of Japan, according to the traditional order of succession. The Soga clan was one of the most powerful clans of the Asuka period of the early Japanese state—the Yamato polity—and played a major role in the spread of Buddhism. Through the 5th and 7th centuries, the Soga monopolized the kabane or hereditary rank of Great Omi and was the first of many families to dominate the Imperial House of Japan by influencing the order of succession and government policy. 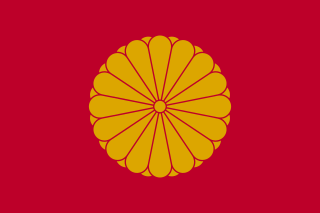 The Mononobe clan was a Japanese clan of the Kofun period, known for its military opposition to the Soga clan. The Mononobe were opposed to the spread of Buddhism, partly on religious grounds, claiming that the local deities would be offended by the worshiping of foreign deities, but also as the result of feelings of conservatism and a degree of xenophobia. The Nakatomi clan, ancestors of the Fujiwara, were also Shinto ritualists allied with the Mononobe in opposition to Buddhism. Suiko's contemporary title would not have been tennō, as most historians believe this title was not introduced until the reigns of Emperor Tenmu and Empress Jitō. Rather, it was presumably Sumeramikoto or Amenoshita Shiroshimesu Ōkimi (治天下大王), meaning "the great Queen who rules all under heaven". Alternatively, Suiko might have been referred to as (ヤマト大王/大君) or the "Great Queen of Yamato". Prince Shōtoku was appointed regent the following year. Although political power during Suiko's reign is widely viewed as having been wielded by Prince Shōtoku and Soga no Umako, Suiko was far from powerless. The mere fact that she survived and her reign endured suggests she had significant political skills. Suiko's refusal to grant Soga no Umako's request that he be granted the imperial territory known as Kazuraki no Agata in 624 is cited as evidence of her independence from his influence. Some of the many achievements under Empress Suiko's reign include the official recognition of Buddhism by the issuance of the Flourishing Three Treasures Edict in 594. Suiko was also one of the first Buddhist monarchs in Japan and had taken the vows of a nun shortly before becoming empress. The reign of this empress was marked by the opening of relations with the Sui court in 600, the adoption of the Twelve Level Cap and Rank System in 603 and the adoption of the Seventeen-article constitution in 604. At a time when imperial succession was generally determined by clan leaders, rather than the emperor, Suiko left only vague indications of succession to two candidates while on her deathbed. One, Prince Tamura, was a grandson of Emperor Bidatsu and was supported by the main line of Sogas, including Soga no Emishi. The other, Prince Yamashiro, was a son of Prince Shōtoku and had the support of some lesser members of the Soga clan. After a brief struggle within the Soga clan in which one of Prince Yamashiro's main supporters was killed, Prince Tamura was chosen and he acceded to the throne as Emperor Jomei in 629. Empress Suiko ruled for 35 years. Although there were seven other reigning empresses, their successors were most often selected from amongst the males of the paternal Imperial bloodline, which is why some conservative scholars argue that the women's reigns were temporary and that male-only succession tradition must be maintained in the 21st century. Empress Genmei, who was followed on the throne by her daughter, Empress Genshō, remains the sole exception to this conventional argument. The actual site of Suiko's grave is known. This empress is traditionally venerated at a memorial Shinto shrine (misasagi) at Osaka. ↑ Ponsonby-Fane, Richard. (1959). The Imperial House of Japan, p. 48. ↑ Brown, pp. 264; prior to Emperor Jomei, the personal names of the emperors (their iminia) were very long and people did not generally use them. The number of characters in each name diminished after Jomei's reign. ↑ Ashton, William. (2005). Nihongi, p. 95 n.2. ↑ Varley, p. 44; a distinct act of senso is unrecognized prior to Emperor Tenji; and all sovereigns except Jitō, Yōzei, Go-Toba and Fushimi have senso and sokui in the same year until the reign of Emperor Go-Murakami. ↑ Titsingh, p. 39; Brown, pp. 263–264; Varley, pp. 126–127. ↑ Hammer, Joshua. (2006). Yokohama Burning: The Deadly 1923 Earthquake and Fire that Helped Forge the Path to World War II, pp. 62–63. ↑ "Life in the Cloudy Imperial Fishbowl", Japan Times. 27 March 2007. Emperor Sushun was the 32nd Emperor of Japan, according to the traditional order of succession. Emperor Kōtoku was the 36th emperor of Japan, according to the traditional order of succession. Emperor Tenji, also known as Emperor Tenchi, was the 38th emperor of Japan, according to the traditional order of succession. Emperor Tenmu was the 40th emperor of Japan, according to the traditional order of succession. Empress Genshō was the 44th monarch of Japan, according to the traditional order of succession. She was the only empress regnant in Japan's history to have inherited her title from another empress regnant rather than from a male predecessor. Empress Kōken, also known as Empress Shōtoku, was the 46th and the 48th monarch of Japan, according to the traditional order of succession. Emperor Montoku was the 55th emperor of Japan, according to the traditional order of succession. Emperor Jomei was the 34th emperor of Japan, according to the traditional order of succession. Empress Meishō was the 109th Imperial ruler of Japan, according to the traditional order of succession. Her reign lasted from 1629 to 1643. Emperor Go-Sanjō was the 71st emperor of Japan, according to the traditional order of succession. Emperor Reizei was the 63rd emperor of Japan, according to the traditional order of succession. Emperor Ichijō was the 66th emperor of Japan, according to the traditional order of succession. Soga no Umako was the son of Soga no Iname and a member of the powerful Soga clan of Japan. Empress Genmei, also known as Empress Genmyō, was the 43rd monarch of Japan, according to the traditional order of succession.